A report released this month by the non-partisan Congressional Budget Office (CBO) points to highway pricing as one of the surest ways to boost economic output in the United States, by reducing congestion on the country’s highest-value roads and freeing up scarce government funds for other purposes. The CBO’s findings dovetail nicely with the message the tolling industry has been putting forward to federal and state decision-makers—and with the practical solutions IBTTA members deliver every day, across 35 states and nearly 6,000 miles of tolled facilities. The CBO calculations point to a disconnect between highway funding and the most urgent need for repairs and refurbishment: while rural roads and bridges outside the Interstate system typically receive the most financial support, they see the lowest congestion and already have relatively good pavement quality and relatively few bridges rated deficient or obsolete. The difference matters because, while highway infrastructure investment can boost the wider economy, its impact on business productivity depends on how and where the spending is allocated. “Roads, bridges, or other forms of transportation to sparsely populated places or little-used infrastructure may provide few of the benefits, let alone offset the costs,” CBO notes. That distinction points directly back to the efforts of tolling agencies from Maine to Florida, Texas to California and from Ohio to Washington State that are wringing more volume and mobility out of the nation’s densest, most heavily-travelled corridors. It turns out that IBTTA members are already practicing the solutions that CBO is preaching. The Budget Office points to three user-pay models—vehicle miles traveled (VMT) charges, congestion pricing, and tolling existing Interstate capacity—as solutions that could make America’s roads more productive and efficient. With its vigorous defense of user financing and its critique of the gas tax as a driver for economic productivity, the CBO report “is a breath of fresh air,” said IBTTA’s Jones. With the FAST Act, a long-term highway bill, now in place at the federal level, it will be some time before Congress has a chance to take action on the CBO’s insights. 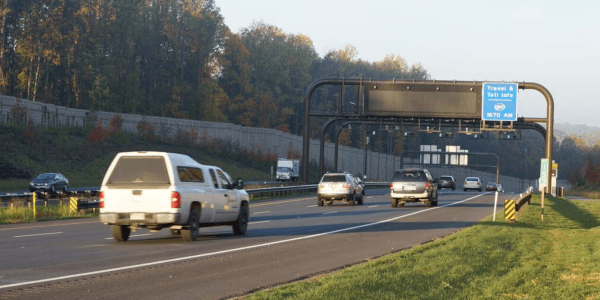 But the findings lend weight and urgency to the work that is already going on in many states to advance tolling as an important tool in the highway infrastructure funding toolbox. For more insight into highway infrastructure funding policies, register today for more on IBTTA’s Transportation Policy and Finance Summit, March 13-15, 2016 in Washington, DC. Vehicle Occupancy Detection Corporation. All Rights Reserved.